The mudstones with thin siltstone and sandstone interbeds were deposited under low energy conditions. They form the lowest part of a thick coarsening upward sequence, and are interpreted as pro-delta deposits (George & Kelling, 1982). 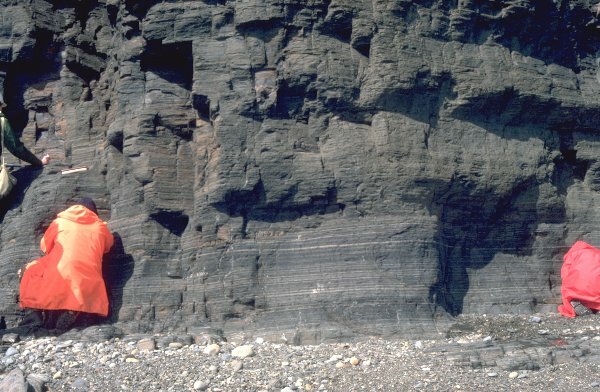 What was the dominant mechanism of deposition for these sediments?